Inshore- The weather has been a roller coaster this past week with high and low pressures bouncing around our area, but the sheepshead and black drum didn’t seem to mind. Besides those species we did see a nice redfish caught from the jetty and heard of a handful of whiting. Other than that, it was a little slow this past week inshore and along the pass. The redfish hit a slow moving gold spoon being retrieved around the John’s Pass Bridge on our warmest day this past week on the beginning of the incoming tide. Whiting and black drum were hitting the same bait with the same technique just a live shrimp weighted to bottom with minimal weight around the sandy areas along the north jetty and beaches. The black drum can also be found around the docks and back bay areas while the whiting typically hang along the beaches. Sheepshead still loving the pieces of live shrimp, fiddler crabs or cut up oysters. The water have been very muddy though so stinkier bait helps and the slower you retrieve your lures the better. When the water is cold the fish move slower and a fast moving bait in cooler water doesn’t appear as natural and the predators are going to be more opportunistic when feeding in the chilly water temps. Also, these full moon negative tides have really had the back bays and even the pass a little shallower than normal. When the water is gone or very low it’s a great time to scout your favorite fishing areas to see the areas that fish tend to congregate and find all the little depressions and holes and troughs that will hold fish when water comes back in! Near shore- This past week has been very turbulent weather as stated in the inshore report, but we did get a little weather window Tuesday behind a big front before a big high pressure. It was supposed to be very rough but we got a little reprieve Tuesday afternoon and were able to get a nice group of 5 hour half day guests out there and they did VERY WELL compared to what we thought we would see with how muddy and turbulent the weather was. They got some nice hogfish, mangrove snapper and even some big sheepshead plus tons of grey snapper. The Wednesday trip was much more bumpy and the high pressure had settled in and the fishing was much slower but they still did well for how bumpy and stirred up and cold the waters were. 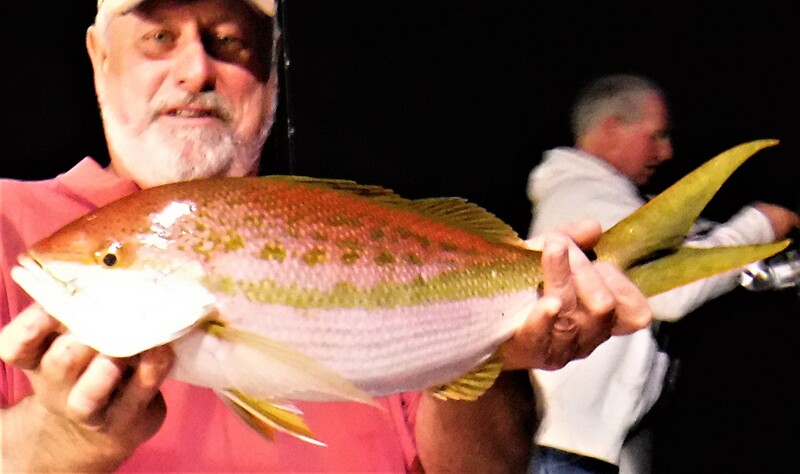 We did not get any 10 hours or private fishing charters out this past week due to weather, but we did get out there last Friday and Saturday before the big front Sunday and the fishing was very hot on hogfish, mangrove snapper, lane snapper, and even some red grouper. This coming week we got another big front Wednesday so Sunday, Monday and Tuesday should be KILLER fishing and weather getting better and better each one of those days before the big front Wednesday. Offshore – Due to weather, we did not get any Flying HUB 2 trips or long range charters out this week but we did get a 44 hour full moon trip out before the front this past weekend before the bad weather rolled in Sunday and the catch was simply EPIC. They had a HUGE pile of fish for just two dozen anglers and nearly a full boat limit of mangrove snapper, yellowtail snapper and vermillion snapper! Plus nice scamp grouper came in and a handful of fat red grouper too. We saw African pompano, yellowmouth grouper, mutton snapper, blackfin tuna and kingfish too. The entire night last Friday the fish just were on fire as soon as you dropped down you either hooked up or lost your bait. One of the best fishing trips we have had in a long time for sure, and it’s a prime example of how great fishing ahead of a front can be! We have super light loads coming up in February on our 39 hour long range trips and our February 44 hour full moon long range trip! Especially the Tuesday 39 hour in February is super light, below are the dates of the trips and these are GREAT opportunities to get tons of the big mangrove snapper, vermillion snapper, yellowtail snapper, porgies and more that we have been seeing and hopefully plentiful blackfin tuna and more as well! 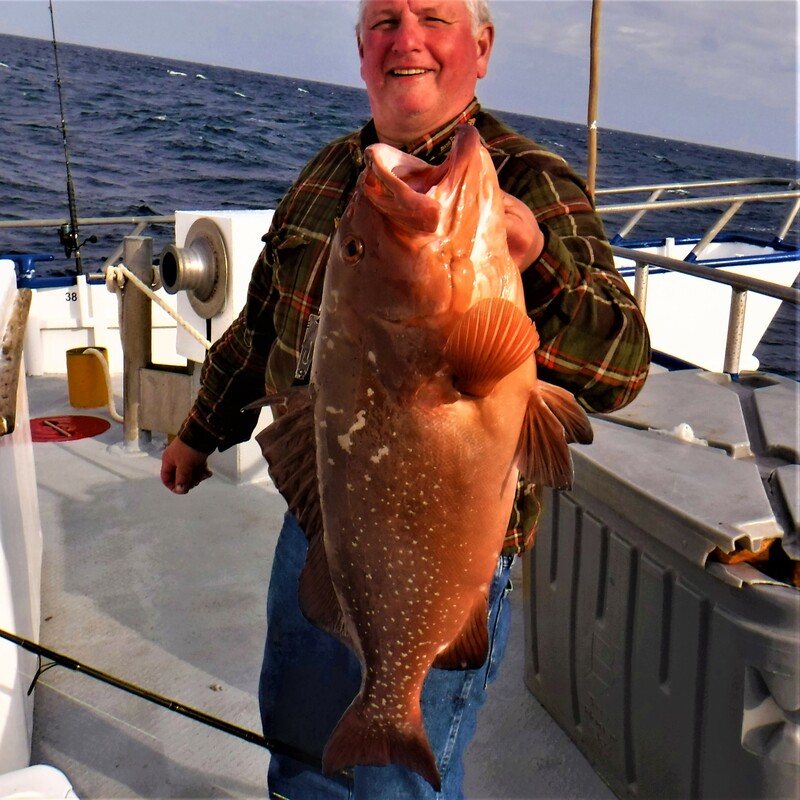 Our 12 hour extreme trips right now also are going out with super light loads as well, if you are ready for some big red grouper, scamp and mangrove snapper and plenty of others it’s a great time to get out on the flying HUB 2 for some offshore fishing fun with us at Hubbard’s Marina on a Wednesday or Sunday. The 5 hour half days and 10 hour all day right now are also carrying smaller loads of guests especially during the week! 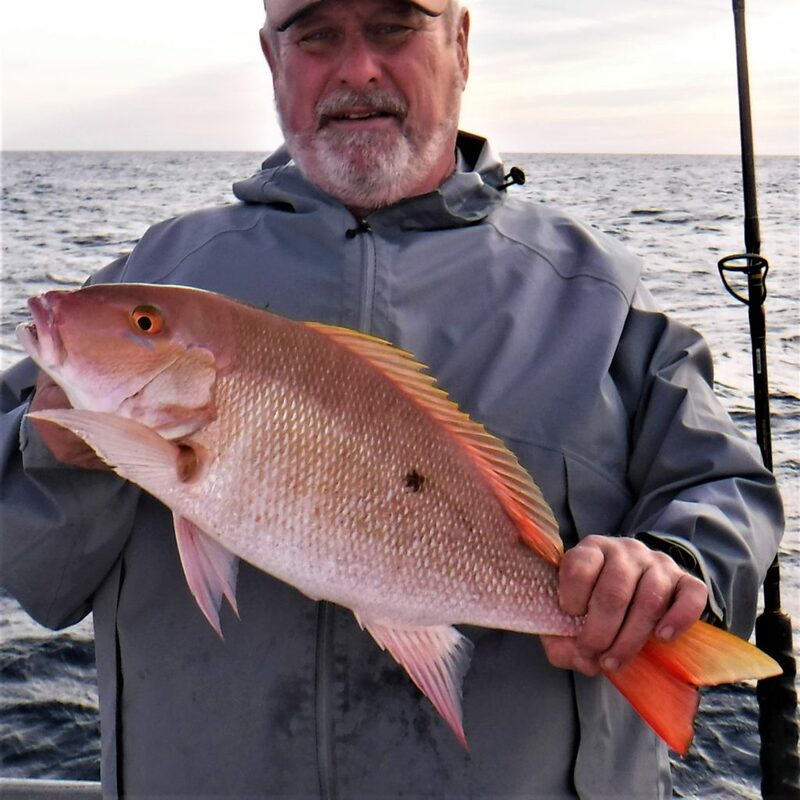 If you want a chance to go out with only 20-40 people instead of the more full trips come visit us during the week for some killer snapper fishing and light loads on board the trips! Want some FREE fishing trips with us at Hubbard’s Marina? 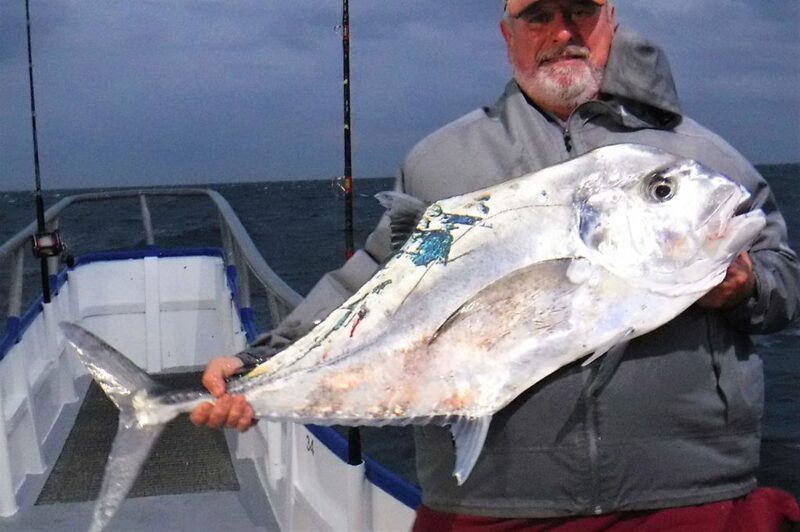 Want to learn more about near shore and offshore fishing? Check out the upcoming Bass pro shops fishing seminar with Capt Dylan Hubbard at the Tampa bass pro location. The next seminar will be Saturday February 16th at 2:30 pm. The fishing seminar or fishing conversation will be about an hour long of fishing conversation, tips, tricks and more! Plus, at the end of each seminar Capt Dylan gives away a FREE 10 hour all day for two guests and a FREE 5 hour half day for two guests to two lucky winners of the FREE raffle. To be entered in the raffle you just have to show up around 2pm and stay for the hour seminar. Check out the Facebook event for this upcoming seminar here – https://hubbardsmarina.com/bass-pro-fishing-seminars/ You can also view all the past bass pro shops seminars at this page too! We have finished 2019 regular’s club renewals and we are starting on signing up NEW MEMBERS, if you are interested in becoming a 2019 regular’s club loyalty program member please reach out to Capt. Dylan Hubbard by sending him your name and cell number via email to [email protected] He will be in touch in the coming few weeks about the loyalty program that offers discounted trips if you fish more than 10,15 or 20 times a year with us at Hubbard’s Marina. It also comes with some free gifts and other benefits too besides discounted trips, but it’s NOT simply a discount program. It’s a loyalty program and it requires fishing often and being a model Hubbard’s Marina guest and showing the passion shared by all of us at Hubbard’s Marina for fishing and our fellow anglers.